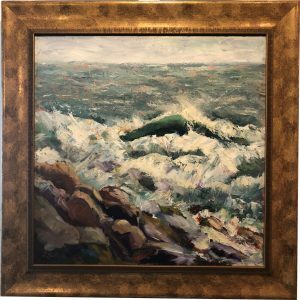 Well-respected in the Kennebunk/Kennebunkport area, artist Joan Sutter has worked in stone, clay, wood, plaster, cast bronze, oil watercolor, acrylic, and mixed media. 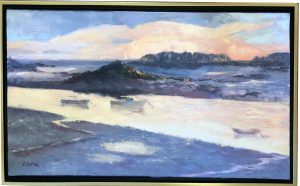 Her paintings of the Maine coast, inland waterways, lobster boats, clam diggers, low tide, high tide, waves and water, beaches, shoreline, shorebirds, land birds (chickens! 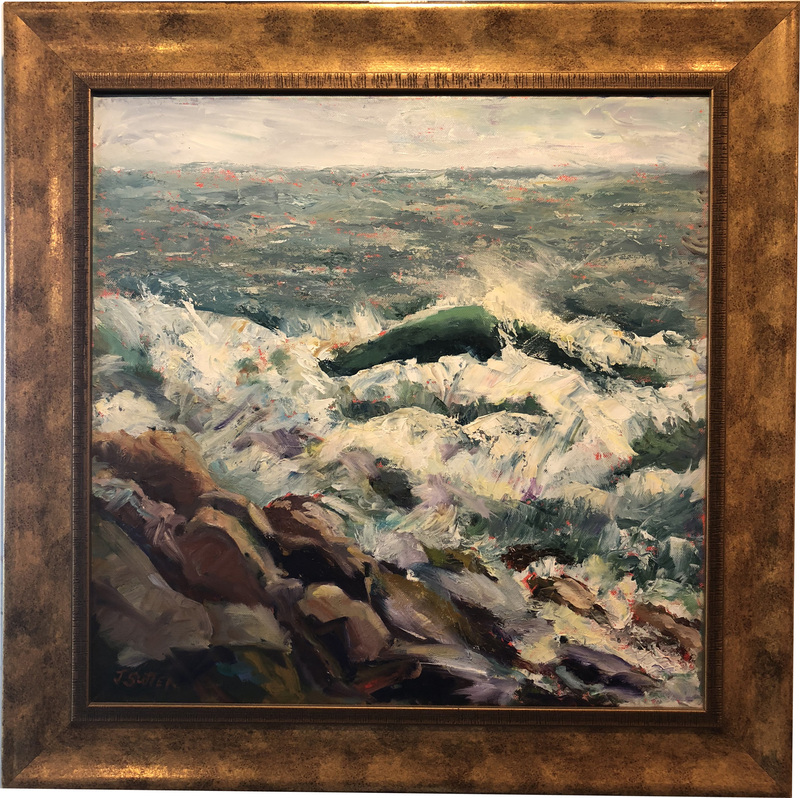 ), land animals (would you believe blue cows, donkeys, horses, and dogs), and Kennebunkport and Cape Porpoise landmarks are loved and sought after. 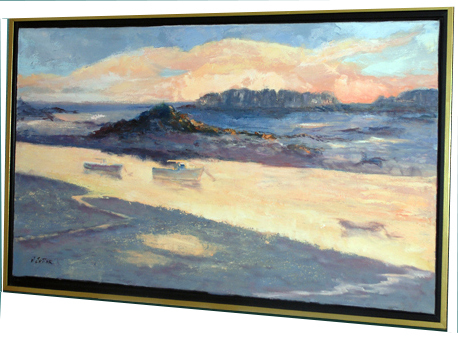 She trained at the Detroit Institute of Arts and the University of Southern Maine, and hones her skill by studying with other artists, among these are Guy Corriero and Dennis Rafferty. 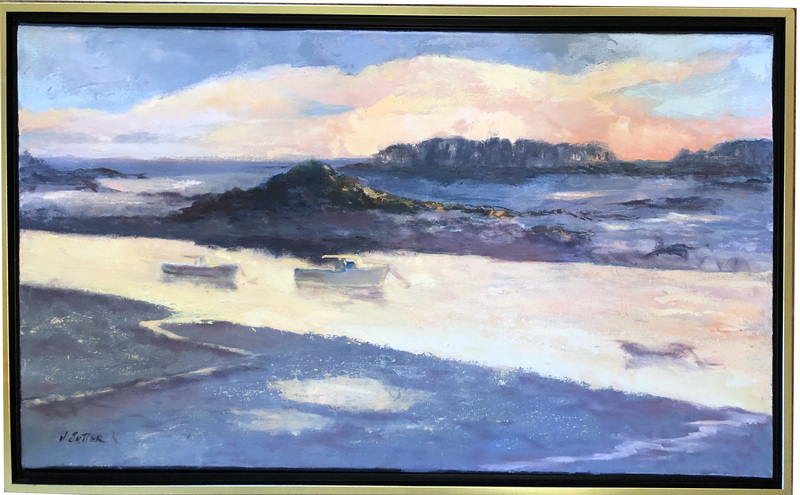 Painting on location is a joy to Joan, and she can be found outside in cold, blustery weather, hot sunshine, and even rain. 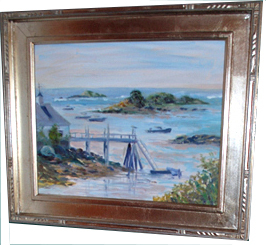 Joan is a member of the Art Guild of the Kennebunks, Maine Women in Arts, among other societies..